The Best of The John Miller Program… – Radio for the People, by the People. So this week John Miller will be at CSM (College of San Mateo) giving his “State of Radio” lecture, and Ashly Russell will be doing her thing and they wont be back till May 5th at 6:00 PM. Till then they come back, management decided to start playing The Best of The John Miller Program. John has had 4 woman co-hosts in ten years in the San Francisco and this week they will spotlight Susan Maletta. John and Susan were partners for almost 7 years, at two FM stations in San Francisco market (PCR 89.9 FM and FFR 107.3 FM) and one internet station (FFR). Hell that’s longer than most marred couples and they acted like a old marred couple. They had some of the biggest guests in 7 years that they could booked. So here is the list of guests in this broadcast of TBO. All clips are from 2008 starting at PCR Studios with Kato Kaelin via phone from Hollywood. Next we will be at PCR Studios with Kira Soltanovich via phone from Hollywood. Next will be at PCR Studios with Will Durst. Next at FFR Studios Phil Johnson and to wrap this The Best Of the JMP up will be in PCR Studios Gail Jones and Burtis Cutler. 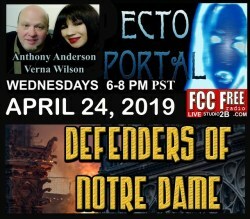 This all happens Tuesday at 6:00 PM PST only on FCCFREE RADIO. The file below is the last The John Miller Program w/Ashly Russell till Tuesday at 8:10 PM PST when the show above loads.